Charles Stuart was born in St. James’ Palace, on 29 May 1630 and was the eldest surviving son of King Charles I of England and Scotland and Henrietta Maria of France. Charles II was the King of England, Scotland and Ireland from 30 January 1649 (de jure) or 29 May 1660 (de facto) until his death. His father Charles I had been executed in 1649 following the English Civil War; the monarchy was then abolished and the country became a Republic under Oliver Cromwell, the “Lord Protector”. Charles fled to France and then the Netherlands and lived in exile. In 1660, shortly after Cromwell’s death, the monarchy was restored under Charles II. Unlike his father, Charles II was skilled at managing Parliament. It was during his reign that the Whig and Tory political parties developed. In 1662 Charles married Catherine of Braganza, the daughter of the King of Portugal. This failed to produce an heir but he famously fathered numerous illegitimate children, of whom he acknowledged fourteen. Known as the “Merry Monarch”, Charles was a patron of the arts and less restrictive than many of his predecessors. By converting to Roman Catholicism on his deathbed, Charles II became the first Roman Catholic to reign over England since the death of Mary I in 1558 and over Scotland since the deposition of Mary, Queen of Scots in 1567. The important events of his reign included two wars with the Dutch, the Great Plague, the Great Fire of London and the Rye House Plot, an assassination attempt. Charles II was a member of the House of Stuart. Admiral Sir Henry Morgan was born in Llanrumney, Glamorgan, Wales in 1635. Henry Morgan was one of the most notorious and successful privateers from Wales, who made a name in the Caribbean as a leader of privateers. He sailed against Spain in the middle of the 17th century, but his name was mostly unheard of until 1665, when he was made second-in-command of a group of buccaneers (like privateers, buccaneers were “licensed” pirates) who had fought the Dutch in the Anglo-Dutch War. His first major exploit was the capture the town of Puerto Principe, Cuba. Dissatisfied with the booty, however, he immediately sailed for Panama and sacked the city of Portobello – a stunt that instantly made him rich. After that, his name spread quickly. Captain Morgan’s final and most famous feat occurred on January 19, 1670 when he led a fleet of 36 pirate ships against the City of Panama. At the time, the city was rumoured to be the richest in the world; along with Cartagena, it was a main jumping-off point for Spanish gold on its way to Europe. Morgan sailed into port and decimated a significantly larger force led by the local governor. He burned the city to the ground and made off with 400,000 pieces of eight, later stealing much of it from his own men. The attack, however, took place only days after Britain had signed a treaty with Spain, and Morgan was arrested and taken back to England for trial. King Charles II forgave Morgan and knighted him 1674. 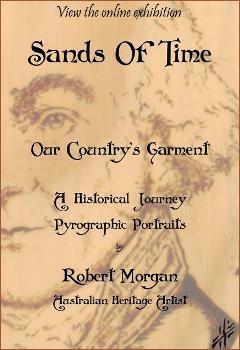 Morgan was appointed deputy governor of Jamaica in 1674 and served until 1683. He settled down to life in the island’s council, overseeing the defences and of course expanding his fortunes as a rich sugar planter, but never again was he to be the infamous pirate, far more the respectable man of power and status. Sir Henry Morgan died 25 August, 1688.